Agency expert in Advertising, Branding & Positioning, Website Creation, Digital Strategy, Graphic Design, Social Media. Gutzandglory is an integrated advertising agency. Our mixture of highly experienced advertising boys and girls and dynamic millennials brings the best of strategy, creation and service to daring brands that like things close and personal. We think across all channels, implementing strategy in attractive, consistent stories. Gutzandglory is an integrated advertising agency. Creativity is our trade: we do whatever it takes to connect consumers with your brand. We offer the best of both worlds: A dedicated senior team of creative advertising experts who aren’t afraid of getting their hands dirty. We come from various backgrounds in the core of the Belgian advertising, media and marketing scene, and we’ve come together to set up a flexible structure that sticks close to you. We are the go-to partner if you consider your website a part of your integrated communication strategy. We develop web platforms that are the first as well as the last part of your consumer's journey. We deliver consistency in design, efficiency in conversion and data-mining, full development support and full content creation. Starting from brand strategy, we use all available channels to install the brand's promise. Yet, the proof of the pudding is in the eating: live activation, digital activation, brand activation and sales activation are essential in order to make your brand stand out in a trustworthy way. Mora radio & social: It’s weeeeekend again! Friday, that means having fries. And a delicious Mora snack of course. That’s the starting point of the radio saga that we made for the iconic snack brand. Dutch agency Alfred—who manages the Benelux account for the brand—entrusted us with this assignment. Each week the quintessentially Dutch character Cora kicks off the weekend by asking the Flemish about their weekend plans. That always results in hilarious conversations about various Mora snacks. The radio campaign runs throughout the entire year and is supported by a weekly Facebook post. Snel Verdiend. / Vite Gagné. 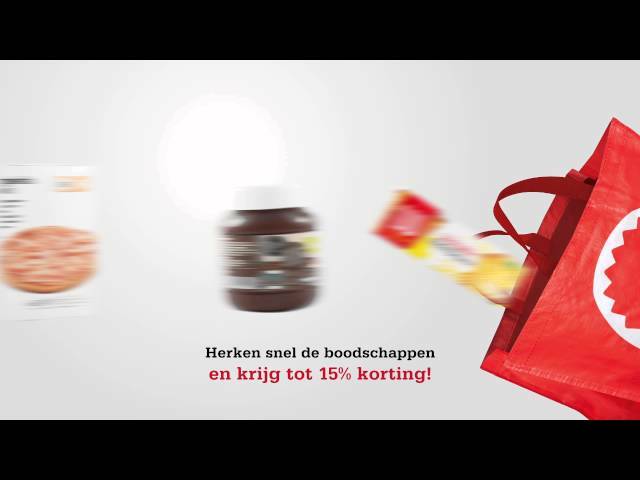 Voor Red Market ontwikkelden we een promo-actie die de supermarkt voor het eerst op tv brengt. We zetten daarbij stevig in op second screen. Je kan de spots zien op RTL (RTL TVI, Plug RTL en Club RTL). Vanaf donderdag 23/4 flitsen tientallen producten uit het Red Market assortiment voorbij in 10 verschillende filmpjes. Herken je de producten in de spot, dan win je tot 15% korting of een jaar gratis winkelen. Op www.snelverdiend.be of www.vitegagne.be kan je ook meteen online spelen. De actie wordt verder aangekondigd in Vlaanderen op trams (Lijncom) en via bannering & social. Thanks to the success of car sharing, more garages are left empty. To highlight the positive effect of cambio car sharing's success, we decided to use them for free concerts. The first edition of Cambio Garage Rock took place in Leuven, at the occasion of cambio's tenth birthday. Red Market, Delhaize Group’s challenger supermarket brand in Belgium, has a unique fast store concept based on a 100% self-scan system. In order to allow new customers to discover the speed advantage, we took the hot topic of traffic speed control as our starting point. We flipped it into something positive: at Red Market, you don’t get punished when you speed: you get rewarded with an extra discount. During the past decade different competitors joined Canderel in the segment of low calorie sweeteners. The brand needed to take a stand and claim its reference position once again. In order to become loved once more and to activate new and existing users, we agreed upon a brand repositioning that tells what Canderel really is: a great taste that makes life sweeter for all of us. We wanted the brand to move away from the functional perception of “a sugar replacement”.